Piotr Krajewski, critic, teaches at the Culture Studies Department of Wroc∏aw University. He is a co-founder and artistic director of WRO International Media Art Biennale (1989 to the present) and has been curator of numerous art events and exhibitions in Poland and abroad. He has written and edited many publications on the history and esthetics of new media; recently his articles have appeared in print in Austria, Germany, Japan and Poland. He has (with Violetta Kutlubasis-Krajewska) written and directed more than 100 programs focused on art and media culture for Polish television. He frequently serves as a panelist and jury member at international media-art events, and is a member of the International Arts Critics Association (AICA), the European Cultural Backbone and the Polish Esthetics Society. During the 20th century, art repeatedly called out for a renewal of its contact with life. Artists appeared in public spaces and ordinary, accessible areas, yearning to escape the galleries and to integrate art with reality. To escape from galleries – from any such ordained places – became one of the unabating obsessions of art, and this is apparent in both artistic-social manifestos and in actual undertakings. Smithson’s Spiral Jetty earthwork at the Great Salt Lake, Keith Haring’s murals, Valie Export taking the Tap and Touch Cinema into the streets of Munich, the Stelarc suspended from a crane over Copenhagen, Krzysztof Wodiczko’s projections on the facades of stately buildings, Christo’s wrappings of landscapes and buildings – all of these are now well-known classics of the last century. And regardless of differences in style, expression and message, artists in the 21st century continue to make new efforts to engage in discourse with the stuff of the real world. They are constantly intruding into the landscape, submitting their work to the ravages of time, appearing and acting ephemerally or unobstrusively, like Cezary Bodzianowski or Norbert Radermacher. More often than not they choose urban spaces for this – places full of movement, imbued with their own logic and function; spaces overlaid with networks of symbols, meanings and references to the collective memory; places filled, above all, with people absorbed in their own affairs. Public space is a significant part of our everyday experience; it is unavoidable, concrete, partly familiar but not necessarily friendly. It is a hierarchic space with many levels: one may direct or be directed, admire or be admired. 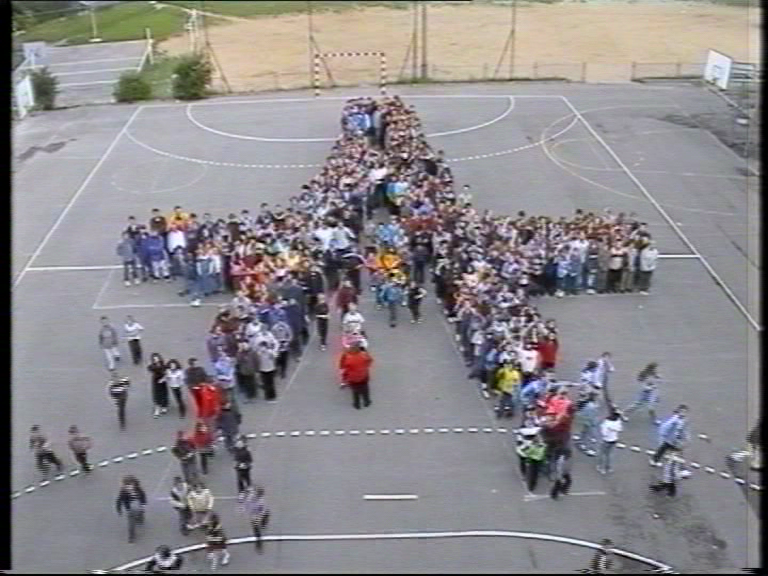 It is a forum of constant interplay between what is planned and what is accidental, between the individual and the group, where vital and somewhat enigmatic forces clearly and openly express acceptance or indifferent rejection, and where the hypersensitivity of those who are rejected becomes a factor in the psychology of the crowd. All of this contributes to the perception of public space as a coveted terrain for art – movement, the presence of people and institutions, the flow of ideas, lively communication, and of course power: the power of habit, of the police, or of technology. This is where things are proven; it is a space that can be fought for, or a space that can be depicted. Contemporary art does both. Nowadays public space is therefore what we choose, and the choice depends on our technology for sensing space – which means that the relationship between art and public space can no longer be adequately grasped in terms of exposition alone. But 20th-century philosophy is dominated by rather less idealized visions of the public space. It is described as a realm determined by mass behavior and emotions, a place that is overseen and controlled, and where minorities (categorized by race, class, appearance, etc.) are systematically excluded. The modern panopticon is not only a regime of perpetual visibility; the ubiquitous surveillance is conducted even more effectively without even watching, through electronic scanning systems and biometry. The public sphere is also being treated, with increasing frequency, as a consumerist realm or as a space where “participation” is offered as a product, or by means of a product of some kind. Artists relate to a reality in which the modern concept of public space has been broadened to include its symbolic, virtual and post-technological aspects, and also to the 20th-century tradition that obligated artists to perpetual criticism of the creative process, of a work, of the act of perception and of their position in public space. Public space is never neutral. 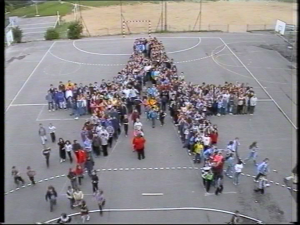 It is overlaid with networks of symbols and meanings that are experienced collectively and which have points of reference in the collective memory. It is imbued with its own logic of functional interrelations. It is full of things, phenomena and institutions. It is always marked, more or less obviously, with the characteristics of power and control: political and economic power, as well as the power of custom, technology and/or, simply, the police. So artistic actions always combine with and interfere in what is already immanent in the surrounding space. We associate public space with architecture, of course, and with the materiality of urbanization – with routes, squares, buildings, shopping centers and seats of government. But for a long time now, a very significant area of public space has been taken up by television and the mass media – those complex zones of all-out advertising – and in another way by politics, a contemporary imitation of the agora. In recent years we have also seen the dynamic rise and intensification of the sphere of the newest electronic reality, which superimposes material substantiality with the cyberspaces of digital communication. 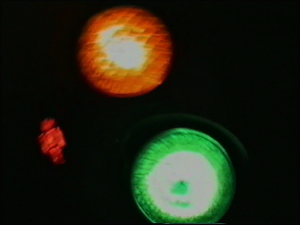 There is an extremely complex link between public space understood in this way and media art, from video art to actions using digital communication tools. That statement seems totally obvious today. And the video works selected for presentation in this publication show that it was also obvious 25 years ago in Communist countries – in times when the technical possibilities for recording, creating and communicating were so much more limited, but still aroused the authorities’ antipathy and suspicion. In his classic essay “Encoded World”, Vilem Flusser compared the drabness of Socialist countries with that of Europe in the period between the world wars, before the current explosion of colors had occurred. Clothes, streets, walls, tools and books were all gray, because they played a different role than they do now in communication and the economy. City surfaces did not convey information.↓ 2 The drab public space of Socialist Poland wasn’t only a result of dated technology and fading paint, but rather a manifestation of the authorities’ intention to control all means of communication by centralizing them and monopolizing the coding of meanings. The totalitarian state laid claim to the right to administer public semantics. It established institutions to censor and superintend public space and to regulate access to it. It turned it into an impoverished, gray, restriction-ridden space where monuments were erected but authetic creative expression was strictly limited. On top of that, the Communist authorities claimed the right to depict that space, the right to record and distribute it in the media. This is why official television filmed and broadcast such an abundance of official state and party ceremonies, parades and demonstrations of monolithic power and class unity. The word “ceremony” most often meant grandiose scenery created for the collective choreography of the masses, in which the masses take the role of the collective hero. This sham of a public space, from which all real problems had been expunged, is what the authorities made into a subject for reproduction and broadcast. 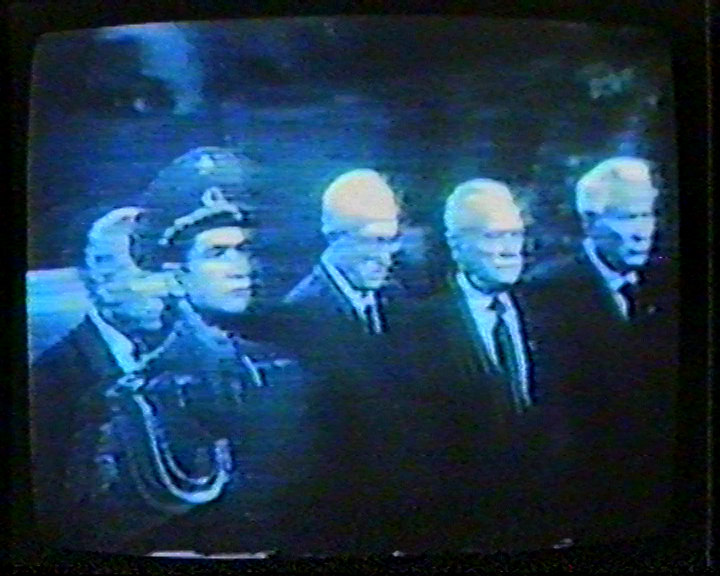 At the same time they displayed great distrust of any unauthorized, independent or individual filming or recording of the public sphere, lest the everyday version – impoverished, gray and poor in symbols – disrupt the hierarchal and monumental facade built up from all the official ceremonies and celebrations. The public space of those times, in which there was no room for individual expression, is a stark contrast to the public space of today, which is regulated chiefly by the forces of the marketplace and which now offers freedom of individual expression amid all the hubbub. After the period of dominant drabness in a public space expiring in poverty under totalitarian government control, color returned. But then after a period of joy in that esthetic transformation, it became apparent that the metamorphosis had some ulterior motives. Forms and colors are no longer cause for rejoicing in and of themselves; they are only references to the world of joy. 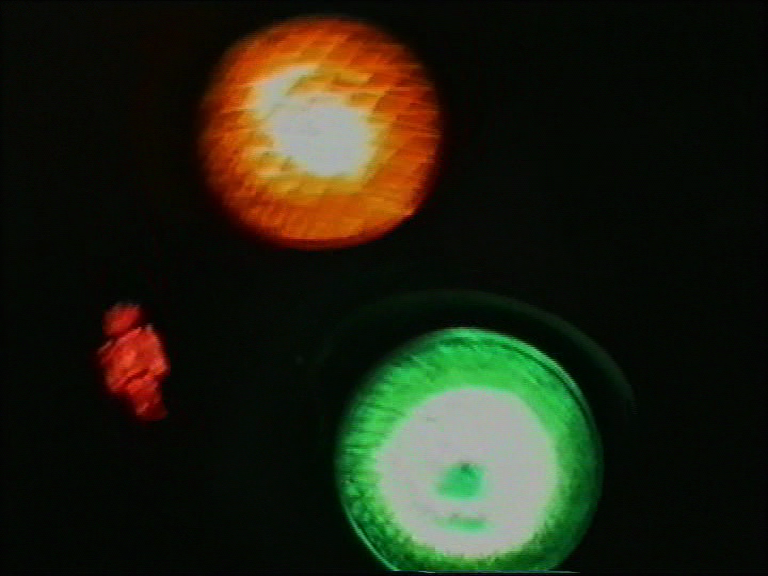 Colors no longer exist for their own sake; they serve a purpose, directing and encoding desire. This new role both strengthens and degrades them. And the new world of joy that they serve is the world of consumerism. Advertising activates a process of unambiguous references; images and symbols refer – albeit sometimes in a roundabout way – to a product and to consumption, to a need to participate in the world represented by the product. Color loses its connection with the real substance of a place; a billboard with a colorful image plastered across it rarely conveys any local references. On the contrary: It both metaphorically and literally covers up the local material. It covers up local references. Urban substance is masked by a stage set. In video too, shades of gray have been replaced by colors. 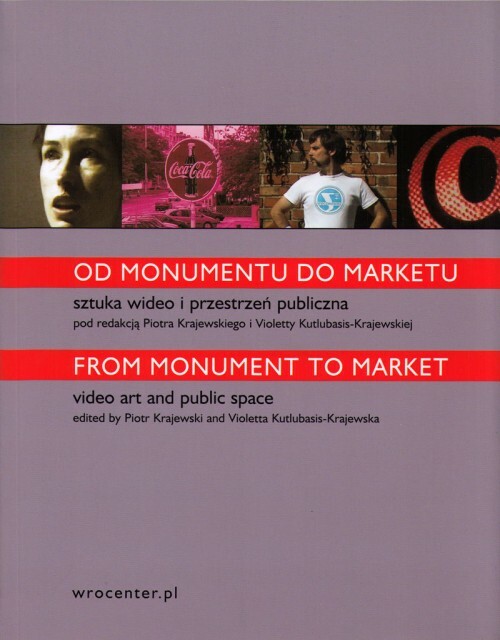 This is why I gave the title From Monument to Market to this series of works: with the aim of showing, through video art, the process of the reinterpretation of public space that has been going on in Poland. Along with new works, we have included many from the last quarter-century, showing the various strategies of Polish artists of different generations in their encounters with public space.